Click here to see the Kokee Timber Management Area Draft Environmental Assessment. 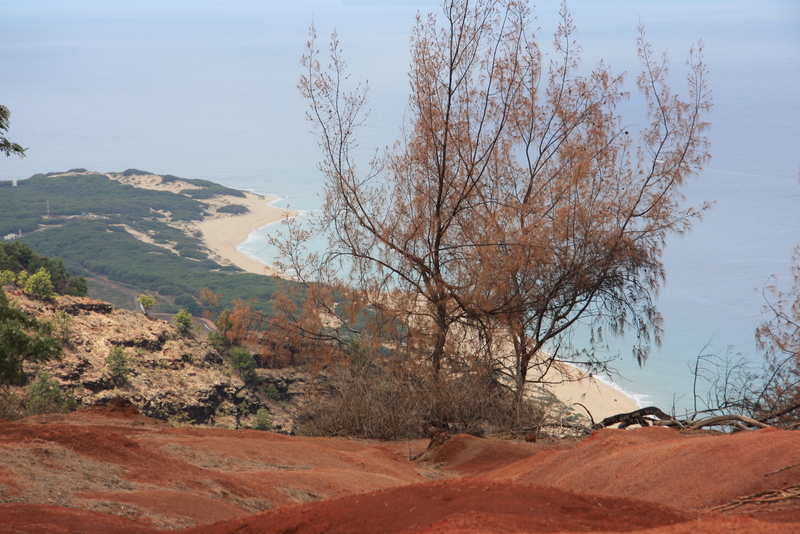 UPDATE: KOKEE AREA RESTORATION & REFORESTATION PROJECT from Hawaii DLNR on Vimeo. 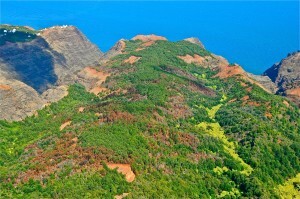 In the summer of 2012, State and Kaua‘i County firefighters battled three fires that burned approximately 3,000 acres. The Forest Reserves were temporarily closed due to hazardous conditions, but are all currently open to the public. These fires negatively impacted five different watersheds: Hikimoe, Hā‘ele‘ele, Mākaha, Miloli‘i, and Ka‘ula‘ula. – May 28 to June 5, 2012 – Miloli‘i fire burned 247 acres in the Nā Pali-Kona and Pu‘u ka Pele Forest Reserves and Ku‘ia Natural Area Reserve. – June 28 to July 3, 2012 – Hikimoe fire burned 765 acres in Pu‘u ka Pele Forest Reserve. – Aug. 16 to 22, 2012 – Fires at Pōki‘i, Paua, and Wai‘aka Ridges burned another 2,000 acres of grasslands. As a response to these fires, on January 11, 2013, Governor Abercrombie issued an Emergency Proclamation calling for swift mitigation actions. Since that time, some access roads have been cleared and improved, and grass seed has been applied to reduce erosion potential. – Flash Floods : These fires further damaged the already highly erodible soils resulting in a very high flash flood potential. Downed trees and debris in a flash flood are extremely dangerous to those downhill and can block natural water flows. – Near Shore Reef Health : Floods with debris and soil erosion pose a serious threat to the coral reefs and fisheries in the ocean. – Invasive Species : The newly opened forest canopy allows for invasive species to quickly colonize and discourages native species growth. 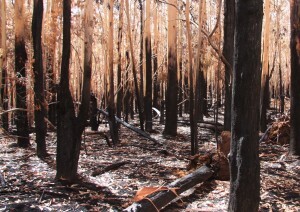 – Loss of Habitat : Endangered species critical habitat was lost and degraded due to these fires. 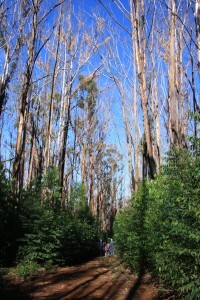 Reestablishing native forests is an important component of this project. – Hazard Tree Removal : There are burnt, downed, and standing trees that pose a danger to the public; and tree sprouting and disturbed soils make access treacherous. – Improved Access : Road conditions were improved by the removal of burnt woody debris, and will continue to be maintained for long-term public access such as hunting, collecting, and recreation activities. – Outreach : In January, information went to targeted members of the public, organizations, and companies providing information about this restoration project. Since then, meetings have been held with interested groups. – Site visits with specialists : Site visits with US Forest Service, nursery managers, and the University of Hawaii have consulted on species selections. Site visits for managing the regrowth of invasive species have also occurred.– Seed Collection : 70,000 Koa seeds were collected and are being raised by Native Nursery, LLC on Maui. The seedlings will eventually be transported back to the Koke’e burn site for outplanting. 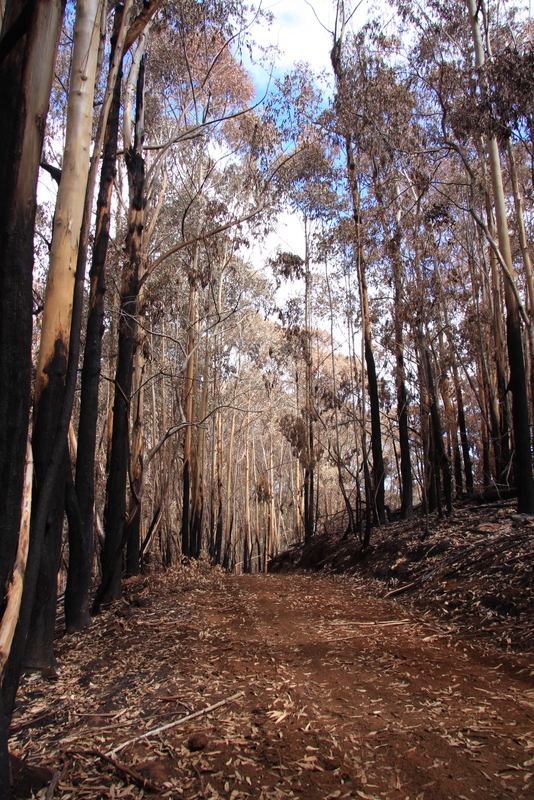 – Invasive Species Removal : Since the fire, there has been significant regrowth from the Eucalyptus. 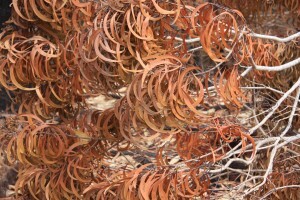 This new growth creates an even more dangerous potential for fire by increasing the fuel load. 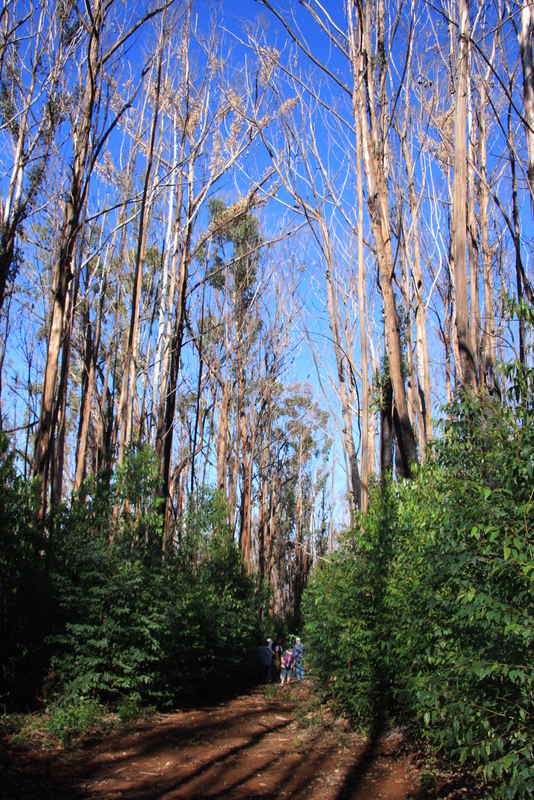 To date, we have held consultations with invasive removal specialists on how to proceed. – Timber Salvage : Salvageable timber will be removed and may be available to the public for a reduced price, as well as sent to local processing facilities. This will occur no sooner than September 2014 due to Hoary Bat pupping season. – Outplanting : Native and non-native (non-invasive) species will be planted to reforest the areas to reduce erosion, protect watersheds, and create a healthy and sustainable forest ecosystem. 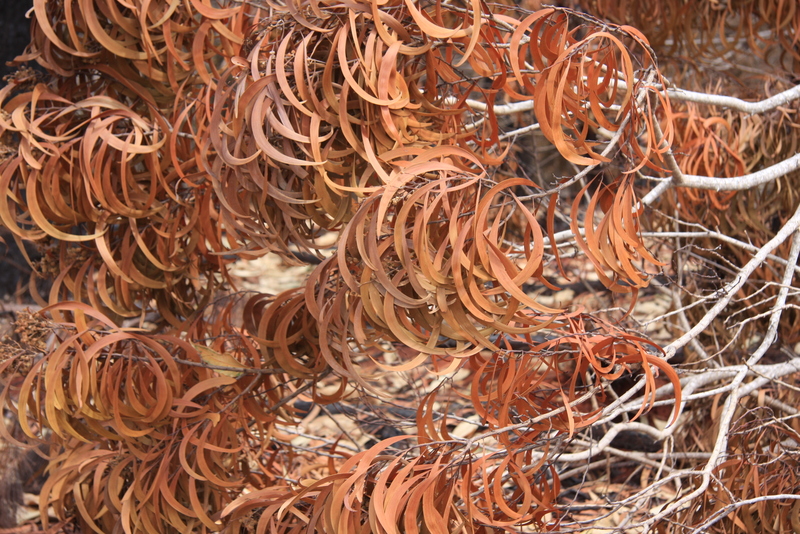 – The burnt trees will be sustainably harvested during early 2015. Replanting will take place during the rainy season of 2015. – Soon after harvesting operations begin, logging trucks will begin hauling. Hours of hauling operations are projected to be Monday through Friday from 7 AM to 4 PM. – No trees will be harvested during the Hoary Bat pupping season (June 1 – Sept. 15). – Training for tree felling and heavy equipment operation may be available with the professional logging company used for this project. – Jobs for plant nurseries, seed collection, log and equipment trucking and tree planting will be created using local companies whenever possible. – All efforts will be made to protect and expand native species habitats. 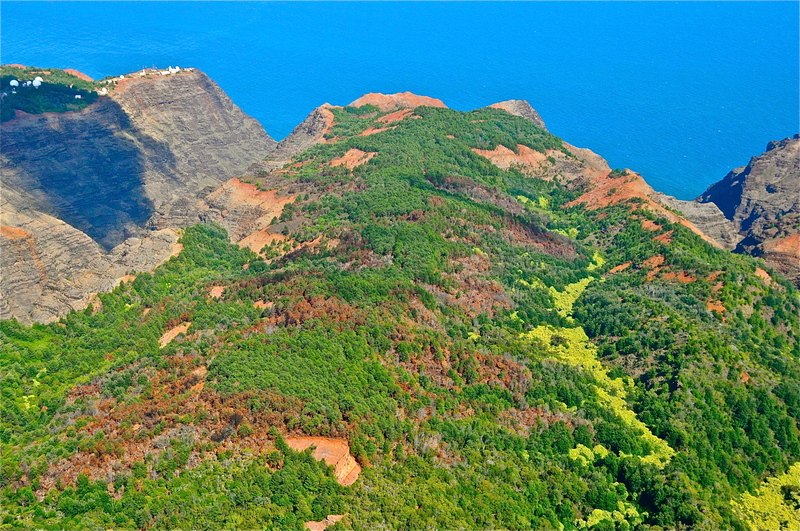 – Reforestation will focus on the Kōke‘e area (1,012 acres) of which the majority is zoned Conservation, Resource subzone. * Currently, we are continuing herbicide trials and efforts made to date have provided much insight for the reforestation project. 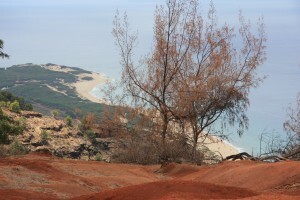 KOKEE AREA RESTORATION & REFORESTATION PROJECT from Hawaii DLNR on Vimeo. If you have any questions or would like more information, please contact Sheri Mann, State Forestry Program Manager at Sheri.S.Mann@hawaii.gov, (808) 587-4172; or Patrick Porter, Kaua‘i Forestry Program Manager at Patrick.T.Porter@hawaii.gov, (808) 274-3439.